Early March in New York is dominated by large art events, with the Armory Show typically generating the most buzz. But I skipped it this year (OMG), and quietly enjoyed The Art Show instead. It was wonderful. The dealers were very chill and welcomed the opportunity to share why they loved their wares. 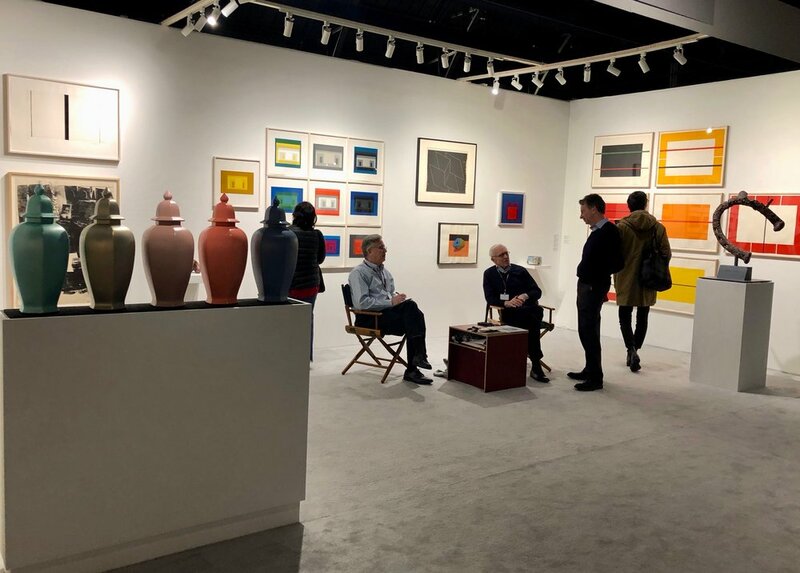 As an added bonus, the entry fees for The Art Show went to charity—a huge departure from the commercialism that dominates the Armory Show. Here are some gems that I spied at The Art Show that you should not miss. Castelli Gallery presented working drawings by Roy Lichentstein paired with his finished works. Since I revel in any opportunity to experience an artist’s creative process, I delighted in this exhibition. How cool to see wonky lines by an artist known for his smooth, flat finish. Hirschl & Adler paid a wonderful tribute to American female artists with a survey of women that ranged from household names like Mary Cassat and Georgia O’Keefe to lesser known, but equally wonderful talents. I loved discovering the charming work of Marguerite Zorach because flowers reliably make me happy. And while I am very familiar with the work of Flora Crockett, it was good to see her featured equally alongside some “greats.” Despite her significant contributions to abstract art she remains relatively obscure. I adore my city, and Meredith Ward Gallery put on a marvelous display of city scenes by a variety of artists. BTW, Meredith is known for uncovering talent—it was she who “discovered” Flora Crockett—-so her exhibitions are always worth a gander. Maira Kalman’s illustrations typically bring a smile to the most hardened soul. Julie Saul Gallery displayed her original drawings (almost all sold) for a new copy of Gertude Stein’s. Autobiography of Alice Tokias to be published by Penguin Books in 2020. It was impossible to choose a favorite—each was so charming, colorful and full of life. You can bet I am adding this book to my library to live beside my copy of Kalman’s illustrated version of Strunk & White’s writing classic, The Elements of Style. Could you hang a portrait of someone you don’t know in your home? I could, provided the artist’s work illuminated an aspect of the human condition generally. 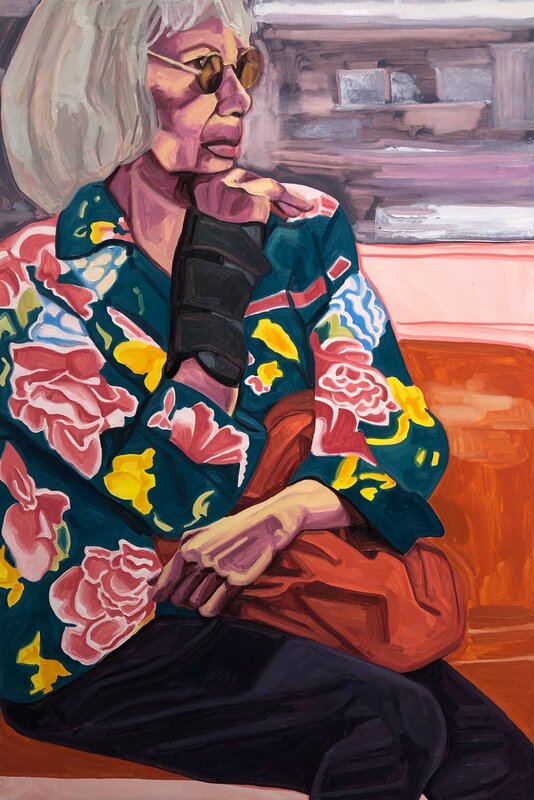 Jordan Casteel’s portraits of women riding the New York City subway, at Casey Kaplan Gallery, worked for me. 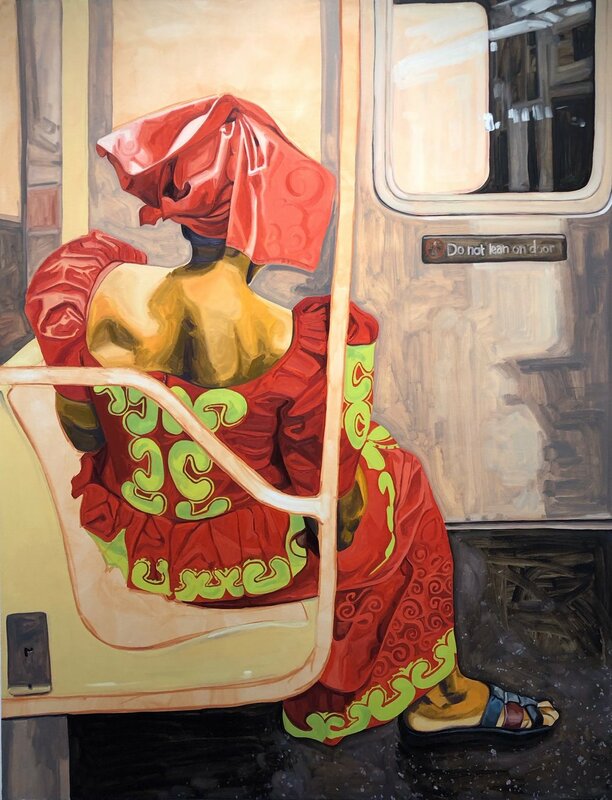 Casteel captures the forced repose of a long train ride underground with it’s mash-up of people from all walks of life. As is so typical of my city, everything that’s anything is jammed into a short period of time and space. Art viewing is no exception, so next year if you are feeling overwhelmed by many the art venues in March, I hope you consider the civilized view at The Art Show. If it’s anything like this year you won’t be disappointed. All photos by Lynn Byrne.